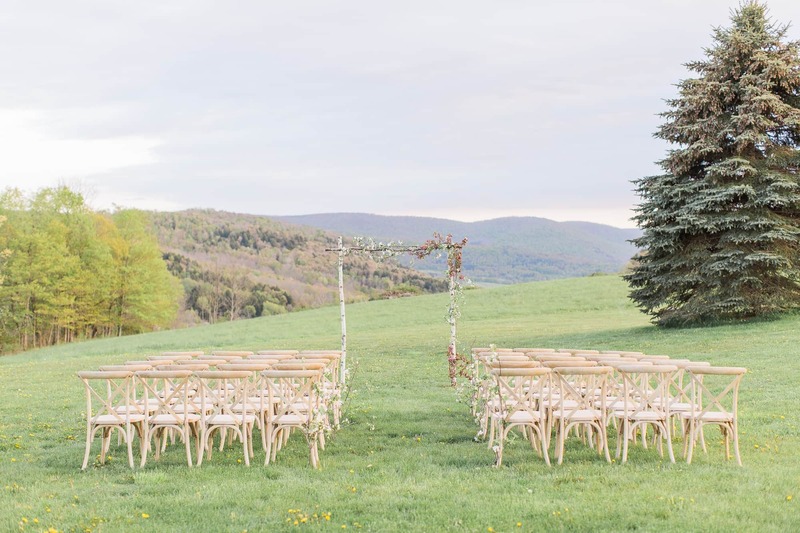 30 acres in the Catskills for you to hike, explore, play lawn games, host your rehearsal dinner and more. The Estate home has a long private driveway that leads to the main house. 5 spacious bedrooms that include a main level master suite with expansive windows and french doors, walk in shower/steam room with large walk in closet and his & her sinks. Large main room with vaulted ceilings includes open kitchen with state of the art appliances, large island, butlers pantry. Wood floors throughout the home. 7500 sq ft barn for indoor reception area with 4 Restoration Hardware chandeliers and string lights. Wedding of any size up to 300 inside Barn. On site catering prep stations with separate entrance. Floor plans and suggested seating arrangements. Venue representative on site to oversee your wedding day until 11pm. Set up and break down of ceremony site. Access to our preferred vendors list. Golf packages available at an additional rate. All located minutes from town, shopping and golf.